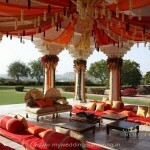 For the Maharaja Style of Wedding. 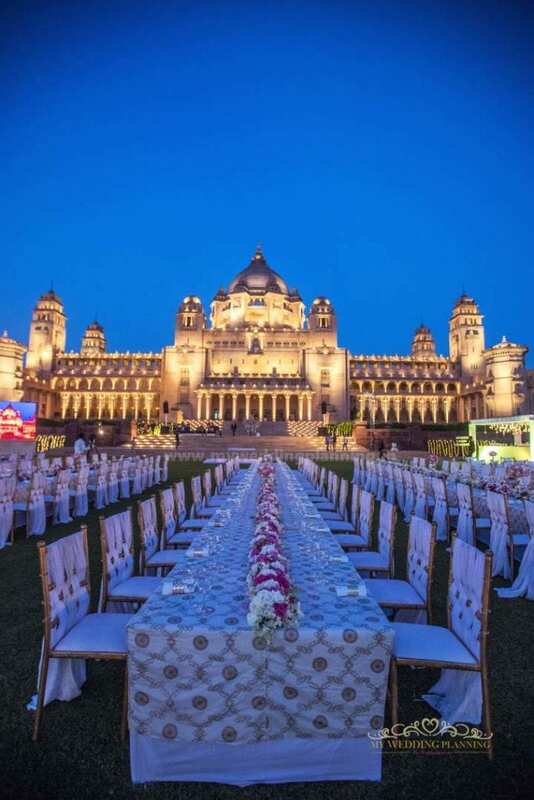 Umaid Bhawan Palace is the last of the great palaces of India and one of the largest private residences in the world – set amidst 26 acres of lush gardens. Perched high above the desert capital of Jodhpur, Umaid Bhawan Palace, the golden-hued desert sandstone monument is the last of the great palaces of India and one of the largest private residences in the world. 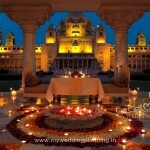 Set amidst 26 acres of lush gardens, the Palace is a blend of eastern and western architectural influences. 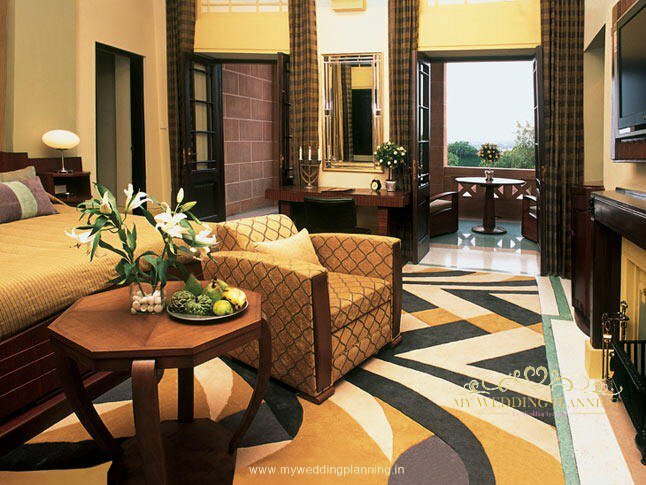 The lavish interiors with gilt furniture and elegant artwork follow the deco art style, complemented by exotic murals. 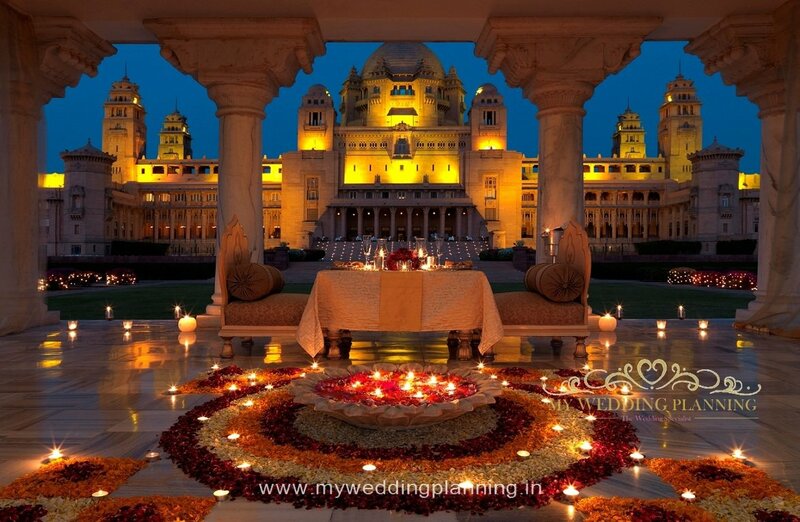 Umaid Bhawan palace offers magnificent venues for holding your dream wedding. The venue, themes and cuisine created, showcase the culture and culinary traditions of the region. It is well connected to Jodpur Airport and Railway station, both just 5 kms and a 15 minutes drive away. The Palace was built, between 1928 and 1943, for H.H. Maharaja Umaid Singh ji, Grand Father of the present Maharaja, who had benevolently commissioned a new palace in 1923 to replace Mehrangarh Fort as the symbol of a new Jodhpur and to give employment to the people of Marwar during the period’s great droughts and famines. 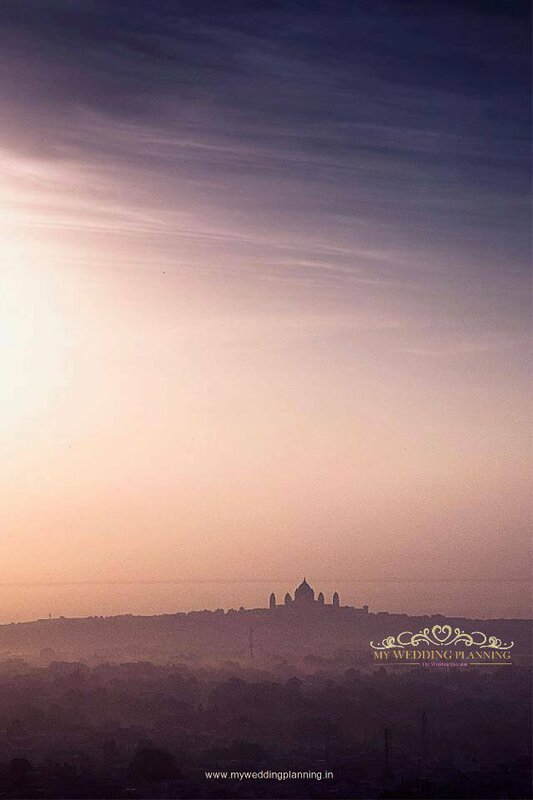 Perched high above the desert capital of Jodhpur, Umaid Bhawan Palace is the last of the great palaces of India and one of the largest private residences in the world – set amidst 26 acres of lush gardens. Named after Maharaja Umaid Singh, grandfather of the present Maharaja of Jodhpur, this golden – yellow sandstone monument was conceived on the grandest possible scale, in the fashionable Art Deco Style of that time. After 15 years in construction, the 347 – room palace was finally completed in 1943 – and has served as the principal residence of the Jodhpur royal family since. Designed by renowned Edwardian architect Henry Lanchester, the palace is a blend of eastern and western architectural influences. Its majestic 105 – foot high cupola is influenced by the Renaissance, while the towers draw inspiration from Rajput tradition. The lavish interiors with gilt furniture and elegant artwork follow the Art Deco style, complemented by the exotic murals of the self-exiled Polish artist Stefan Norblin. The magnificent Umaid Bhawan Palace in Jodhpur, one of the world’s largest private residences, is a golden hued desert sandstone monument set amidst acres of verdant gardens. 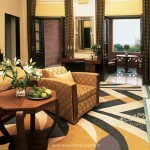 An imitable tribute to art deco, the Palace has in its luxurious fold 64 rooms and suites. Stroll through the private museum, test your skills on the marbled squash courts or enjoy a game of billiards in the panelled recreation room. Take an exhilarating drive through the enchanting city of Jodhpur in a vintage car, accompanied by your royal butler. Stop beneath the starry night sky for a divine grilled feast accompanied by the music of the desert. Experience the art of India’s ancient healing wisdom in the romantic new setting of the Taj Spa. If you’re in the mood for a royal wedding, it’s only fitting that you have it one of the largest residences in the world. The living, breathing museum of Art Deco is one of the few Palaces in the world where royalty still holds a fort in style. And you will only be inspired to follow suit. 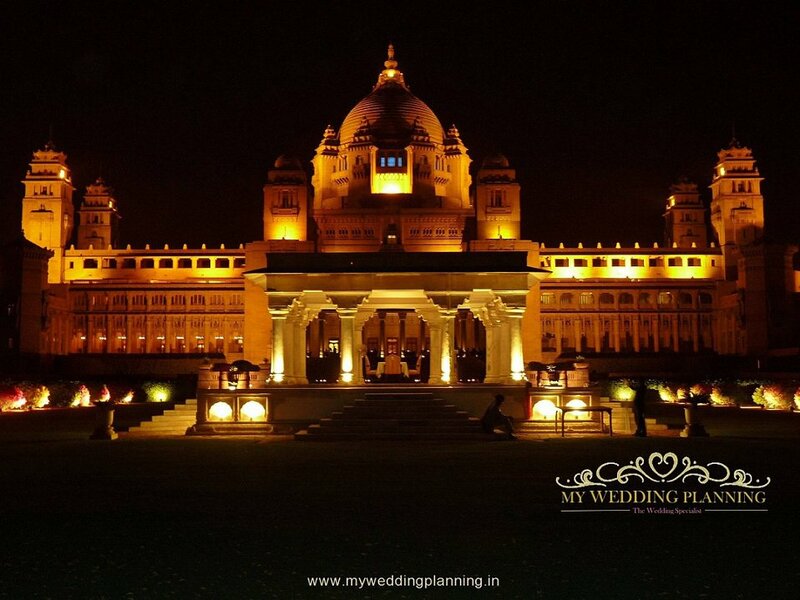 The wedding venues at Umaid Bhawan Palace is the city’s largest meeting and Banquet space for up to 750 guests. 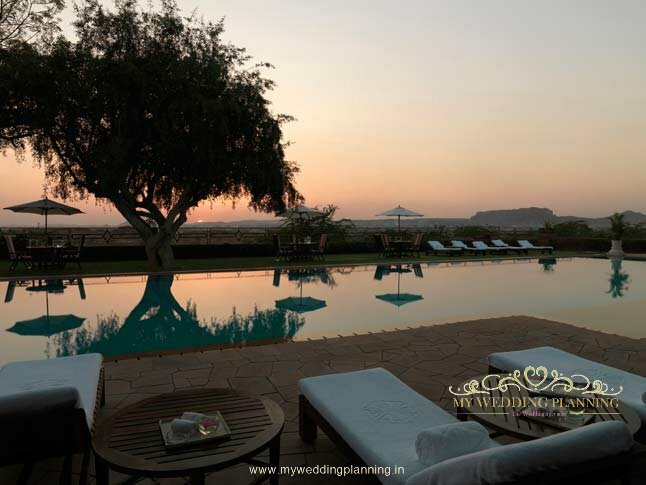 Legend has it that the Maharaja’s private functions in the Marwar hall, split into one and a half levels, had the Maharani and her retinue sitting above, as the male members of royalty participated in merry-making below. And, at a banquet, all the guests were given two butlers each, who took care of their slightest whims. In today’s times, modern-day royalty can mingle freely in this 4500 square feet hall that hosts an elaborate buffet of Marwari, Rajasthani, Indian and Continental cuisines. 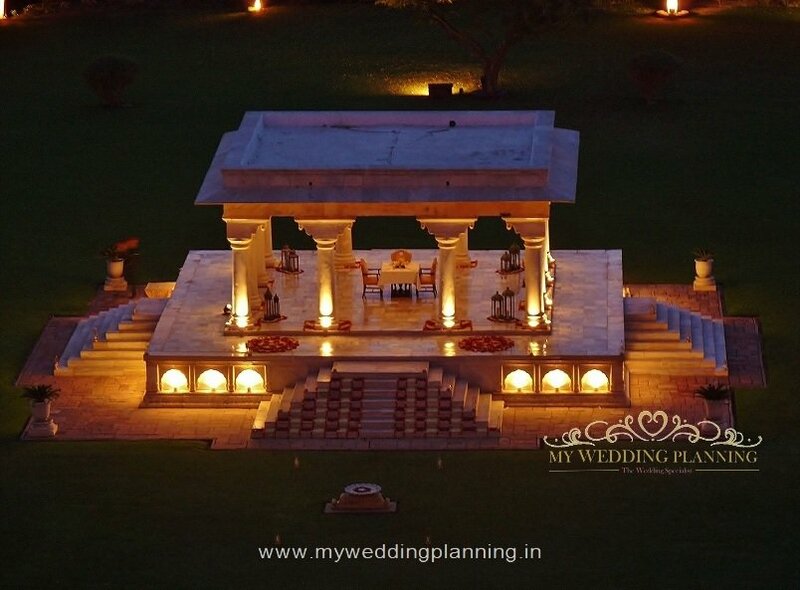 Wedding events can extend to the marble Baradari, a lawn that measures 17,820 square feet a royal tent at the back lawns that measure up to 450 square feet. 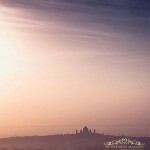 Umaid Bhawan Palace provides 4 venues available indoors as well as 6 outdoor venues for larger functions. 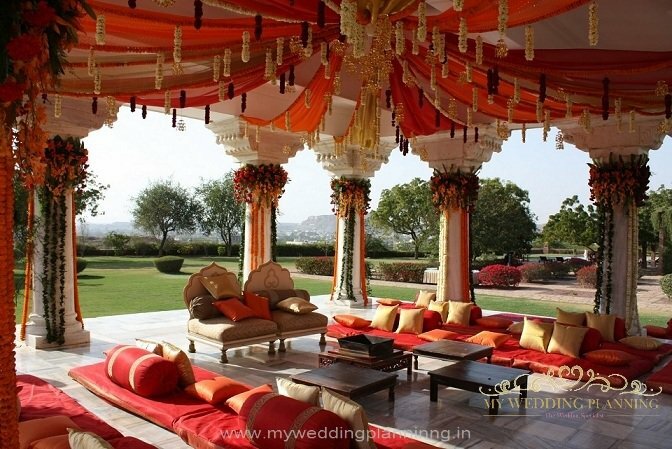 This resplendent 3850 square feet hall is a pillarless hall with a height of 20 feet. It is complete with wood panelled details, coffered ceilings, Italian chandeliers, inlay work and arches. It is on the lobby level and has sufficient natural light flowing in from the big French windows. It has multiple entry points and has a unique stone arched ceiling as well as the unusual Chittar stone work. It can accommodate 180 guests in theatre style set up and up to 100 guests in cluster set up. The Rathore hall is right opposite the Marwar hall and is separated from the Marwar hall by a small alleyway in the middle. This hall has the exact same detailing as the Marwar hall and can accommodate an equal number of guests. The 960 square feet CHAMBER OF PRINCES can accommodate up to 40 guests. 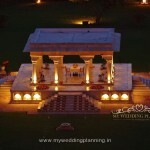 The 17500 square feet Baradari Lawns are big enough to accommodate 700-750 guests. The lawns are ideally located with a stunning Palace backdrop and are complete with Marble Pavilion that adds to its royal feel. The other prominent lawns include the 9000 square feet Lancer Lawns that can accommodate up to 350 guests. The 2850 square feet SUNDECK LAWNS can accommodate up to 40 people. 3000 square feet MUSEUM COURTYARD can accommodate up to 100 guests. 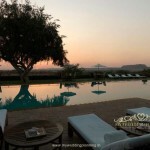 The rooms and suites are a blend of princely charm and contemporary comforts and conveniences. Player with a centrally located DVD library. Dual line telephones with voicemails. Evening turndown service with sweets.